The catchy Carlsberg Smooth Draught’s “POP” sound is music to one’s ears whenever one pops open a bottle. 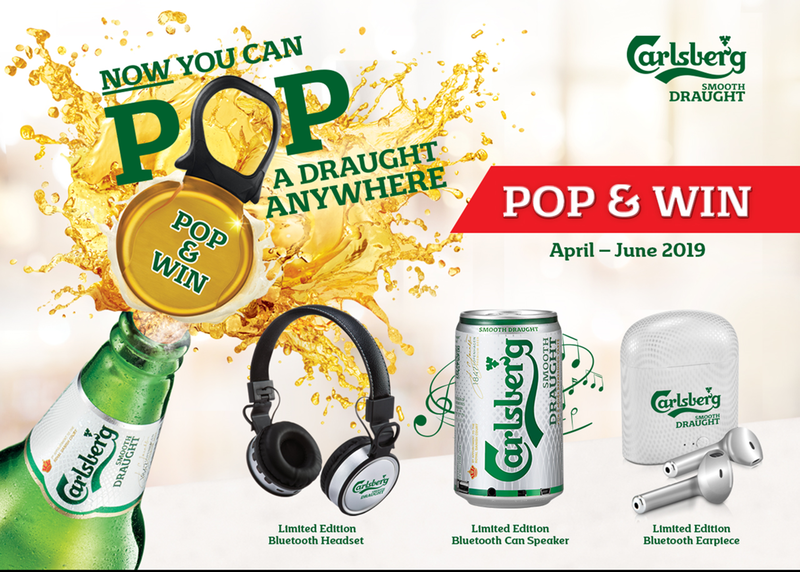 Carlsberg Smooth Draught rides on the rhythm of music and keeps one in tune by giving out cool limited-edition audio accessories through a nationwide “POP & WIN” promotion this April to June. 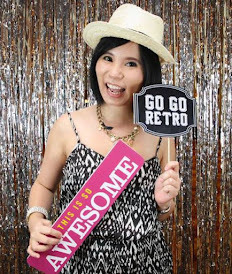 Just collect the ‘POP & WIN’ Carlsberg Smooth Draught bottle caps with every purchase of 580ml Carlsberg Smooth Draught big bottle to stand a chance to win! 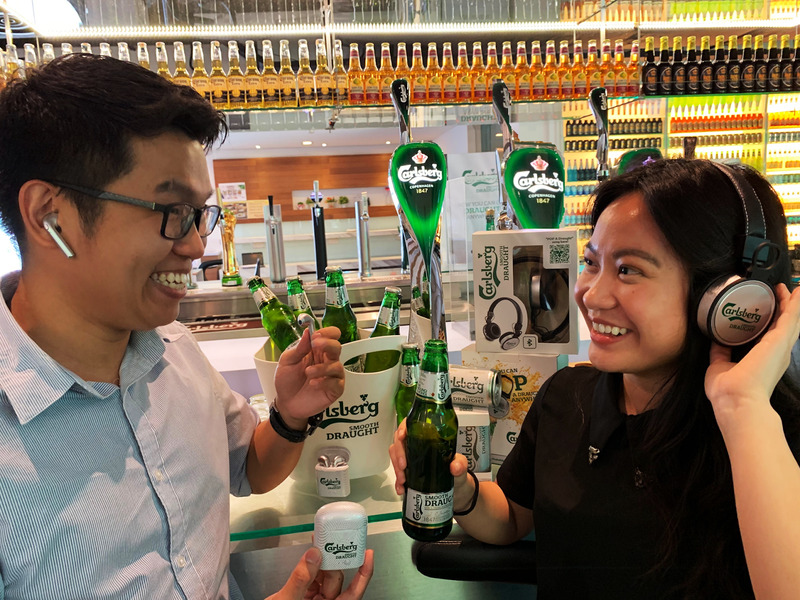 Collect 24 bottle caps to redeem a limited-edition Carlsberg Smooth Draught branded Bluetooth headset, or 12 bottle caps for a 320ml can of Carlsberg Smooth Draught from April to May at participating coffee shops, food courts and hawker centres. Enjoy Carlsberg Smooth Draught with family and friends during this promotional campaign and be rewarded with amazing audio accessories! 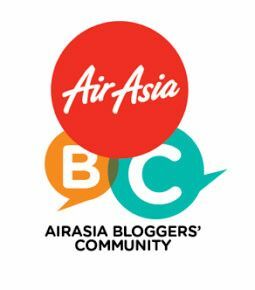 For more info and T&C, check out www.facebook.com/CarlsbergMY or visit www.probablythebest.com.my.